Created in 2009 with passion and strong belief, KOST Paris is a young fashion brand embodying a certain french-style elegance. The collection illustrates perfectly this elegance which will fit the most fastidious urban dandy. 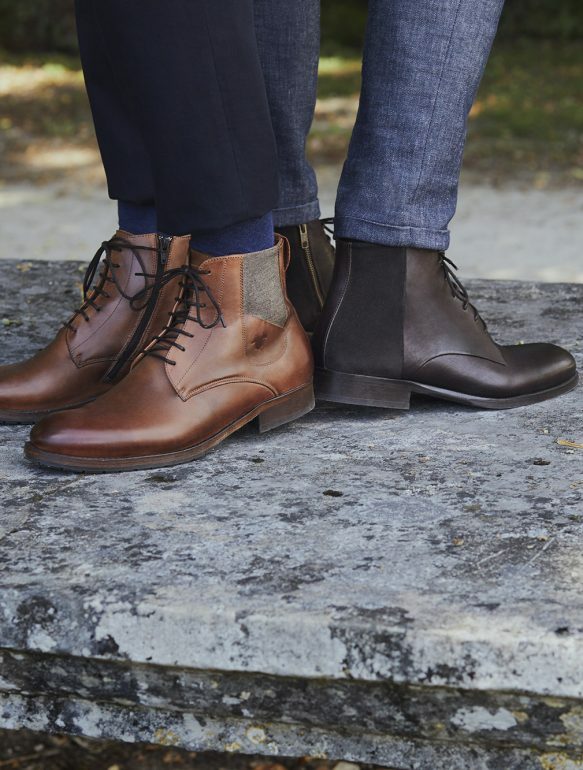 The brand offerts a whole range of vintage leather boots and derby shoes mostly made in France an Portugal, with a lot of audacious details – the final touch of a fantastic look for a city-dweller. More than a clothing look, the brand places a special focus on refinement and freedom, a lifestyle cadenced by curiosity, design and music. In 2014, KOST ingénue is launched to be the feminine mirror of the vintage men collections.